‘Volunteers’ was inspired by Rodin’s fabulous sculpture in Calais from 1889 – according to Linduff et al it serves as a monument to an occurrence in 1347 during the Hundred Years’ War, when Calais, an important French port on the English Channel, was under siege by the English for over a year. 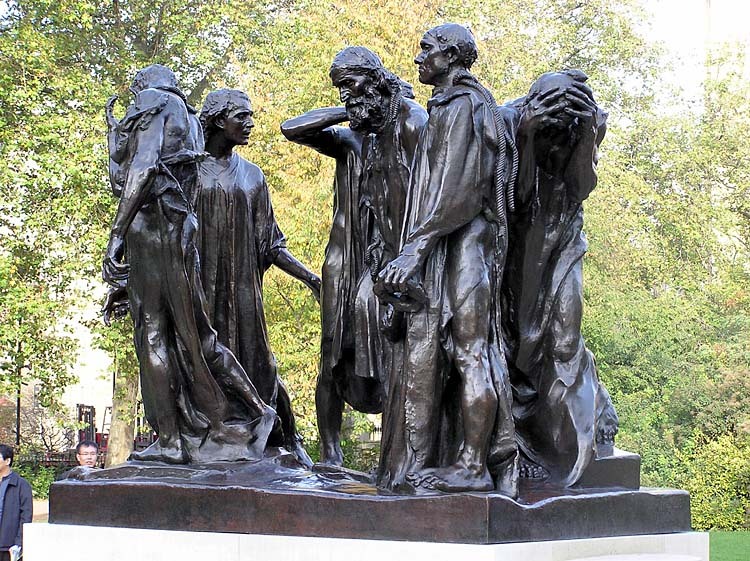 Calais commissioned Rodin to create the sculpture in 1884. Linduff, David G. Wilkins, Bernard Schultz, Katheryn M. (1994). Art past, art present (2nd ed. ed.). Englewood Cliffs, N.J.: Prentice Hall. p. 454. ISBN 0-13-062084-X. Categories: Writings & Witterings | Tags: Arts, Literature, poetry, Polly, VerseWrights, volunteers | Permalink. The details give this power, Polly. Wow! Beautifully written. Many congratulations. My thanks must go to Léa as well as to you for commenting and making yourself known, David.